In discussions about hell, sometimes an appeal to personality and authority is made. After all, conditionalism is certainly a minority view, and so conditionalists find themselves disagreeing with many highly venerated theologians and leaders of the Christian faith throughout its history. To someone who isn’t really thinking about it, it can be rhetorically powerful to call out someone who would be so arrogant as to challenge great men of the faith on the topic of hell.1This is not the same are the simple numbers argument, the argument that surely the Holy Spirit wouldn’t allow so many Christians throughout time couldn’t be wrong about hell (the way he did with salvation by faith alone vs. works, according to Protestantism…). This numbers argument can be coupled with the authority argument (“surely this many great men throughout time couldn’t be wrong about hell!”), but the authority argument is in many ways its own element. It can also give some people pause to say that this or that theologian (or many of them) whom they highly respect was wrong on such an important matter of theology. However, conditionalists don’t even have to make a good case that any given theologian or group of theologians was wrong in order to diffuse this argument. We just need to remind everyone that people in glass houses shouldn’t throw stones. Whatever your beliefs on secondary Christian issues are, you already disagree with at least some of the great men of the Christian faith. This is especially true for Protestants. Unless you are so sectarian that you consider all but a tiny subset who ostensibly hold to all your major doctrines to be heretics and outside of the faith, many whom you would point as great theologians surely disagree with you on some issues. And let’s not play games here: if you believe differently than a great leader in the faith, then you are declaring that you are right and that supposedly great thinker is wrong. Not even the best among us is infalliable. We know this, and we already have no problem saying some great men were wrong on any given issue. As far as any credobaptist is concerned, every major historical church figure who believed in infant baptism is already wrong about a major issue.2For those not familiar with the term, a credobaptist is simply one who believes that baptism is only for people who profess faith in Jesus, i.e. it’s not for infants. This may very well describe your belief, even if you didn’t use that term before. Any Baptist denomination believes this by definition. The view is also shared by those in the Churches of Christ, most Pentecostal and charismatic groups, most non-denominational Christians, and others. You can quote Jonathan Edwards until the cows come home and you still believe that he was wrong about a major element of Christian doctrine and practice. You wonder how someone like me could dare disagree with the great Jonathan Edwards, but you yourself say that he failed to reason from scriptures properly and came to a very wrong conclusion. On the flipside, if you are a paedobaptist, the same thing could be said of you and the great Charles Spurgeon.3A paedobaptist just means someone who believes in baptizing infants. And Jonathan Edwards and Charles Spurgeon are just two examples of many. 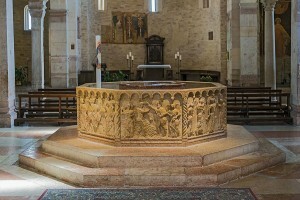 If you have any belief about baptism, rest assured that you disagree with many great theologians and men (and women) of the faith.4When you take into account the thornier question of whether or not baptism is essential for salvation, you get even more disagreement between various figures in church history, and therefore, many more examples of great theologians with whom you inevitably disagree. I mentioned that many people are arrogant and presumptuous enough to think that Charles Spurgeon got baptism wrong. But he also vehemently disagreed with anyone who says that hell is not real, literal fire. Now, do not begin telling me that this is metaphorical fire: who cares for that? If a man were to threaten to give me a metaphorical blow on the head, I should care very little about it; he would be welcome to give me as many as he pleased. And what say the wicked? ‘We do not care about metaphorical fires.’ But they are real, sir—yes, as real as yourself. There is a real fire in hell, as truly as you have now a real body—a fire exactly like that which we have on earth in everything except this—that it will not consume, though it will torture you. You have seen the asbestos lying in the fire red hot, but when you take it out it is unconsumed. So your body will be prepared by God in such a way that it will burn for ever without being consumed; it will lie, not as you consider, in a metaphorical fire, but in actual flame.5Charles Spurgeon, “Sermon 66, 67,” [Sermon], London, UK, February 17, 1856, The Complete Works of Charles Spurgeon: Vol. 2, (Delmarva, 2014), Kindle edition, Locations 13191 to 13215. Therefore, if you don’t think that the fires of hell are literal, then that means you have the nerve to look Charles Spurgeon in the eye and tell him that he dropped the ball, that he got the Bible wrong on this issue. Of course, given how emphatic many past traditionalist preachers were on the literal fire and, to an even greater extent, the physical torture and active wrath of God upon sinners in hell, many evangelicals today may find themselves disagreeing with many great theologians of many stripes.6For more on this, see the following three-part article on how traditionalists in the church have historically looked at the nature of the torment in hell. Part 1: See here. Part 2: See Here. Part 3: See Here. 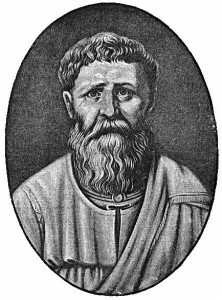 Augustine of Hippo is highly venerated in Reformed circles, and even those who lean more Arminian still have much respect for him. And yet, many of the same things said about others above are true of him as well. I once heard a molinist say something to the effect of “but who am I to question a man like Augustine?” when discussing a theological topic. Of course, the fact that he was a Molinist meant he already was disagreeing with the church father known for beating John Calvin to Calvinism by over 1,000 years. The same is true of you if you are a Molonist or Arminian or open theist. Augustine also believed that baptism of infants leads to their salvation and that all unbaptized infants went to hell, although their experience will be “the mildest condemnation of all.”7Augustine of Hippo, On Merit and the Forgiveness of Sins, and the Baptism of Infants: Book I, Chapter 21, trans. Peter Holmes and Robert Ernest Wallis, rev. Benjamin B. Warfield, found in Nicene and Post-Nicene Fathers: First Series, Vol. 5, ed. Philip Schaff (Christian Literature Publishing Co., 1887), 23), reproduced at Google Books, n.d. https://books.google.com/books?id=B30XAAAAIAAJ&printsec=frontcover&source=gbs_ge_summary_r&cad=0#v=onepage&q&f=false (accessed October 4, 2016). This puts him at odds not only with credobaptists, but also with most Protestant paedobaptists who would deny that baptism actually causes the remission of sins and determines the eternal state of the child. Some in that group would even consider the belief that baptism actually makes the difference between salvation and damnation to be a damnable heresy – at least when advocated by those other than St. Augustine. Given that St. Thomas Aquinas was a Roman Catholic, any Protestant reading this would disagree with Aquinas on many issues.8Orthodox Christians would disagree on many things as well, though to a lesser extent. 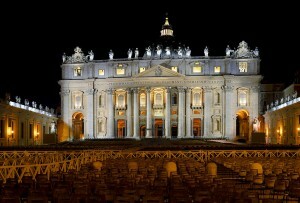 For starters, if you aren’t Catholic, you would disagree with him on the very church structure he worked under. 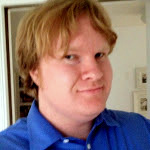 None of us belong to the Order of St. Dominica9Daniel Kennedy, “St. 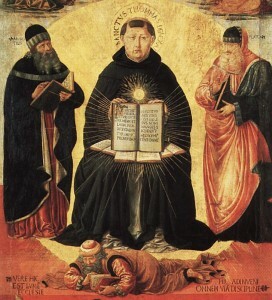 Thomas Aquinas,” The Catholic Encyclopedia. Vol. 14 (Robert Appleton Company, 1912), reproduced at New Advent, n.d. http://www.newadvent.org/cathen/14663b.htm (accessed October 4, 2016). See heading “Life.” or acknowledge the authority of the Pope. In terms of specific doctrine, there are many instances where those reading this will likely disagree (at least on some of the topics presented). Being Catholic, Aquinas affirmed the complete sinlessness of the Virgin Mary.10Thomas Aquinas, The Summa Theologiæ of St. Thomas Aquinas 3:27:1 Second and Revised Edition, trans. Fathers of the English Dominican Province (1920), reproduced at New Advent, n.d. http://www.newadvent.org/summa/4027.htm#article4 (accessed October 4, 2016). He believed in the perpetual virginity of Mary, even after she and Joseph were married.11Ibid 3:28:3, http://www.newadvent.org/summa/4028.htm#article3 (accessed October 4, 2016). Some men accordingly, not paying heed to these things, have contended that Christ’s body and blood are not in this sacrament except as in a sign, a thing to be rejected as heretical, since it is contrary to Christ’s words.19Ibid. I may disagree with Aquinas on hell, but he would call many of you heretics for your beliefs about the communion, and he would have strong works regarding your other beliefs. That doesn’t seem to be stopping you. My point in all of this isn’t that we should think these men aren’t great theologians or are undeserving of the honor they are given. I’m just pointing out that simply appealing to authority of such men is usually a non-starter, especially since it can’t be done with any consistency. And I’m just scratching the surface here. Great theologians disagree on all sorts of other important theological matters like the millenium, the place of national Israel in the future, the details of the tribulation, the rapture, sainthood, the Sabbath, church structure, and more. And if they disagree with each other on these issues, that means that you disagree with at least some of these great Christian minds. Why should the fact that Charles Spurgeon believed in eternal torment be a stumbling block for me when it apparently didn’t give much pause to the paedobaptist who appeals to his authority in the first place? Can you really expect the fact that I disagree with St. Thomas Aquinas on hell to give me much pause if you strongly oppose his view on the eucharist? If you can disagree with Augustine that baptism is effective and necessary to save infants from eternal torment in hell, why should I be discouraged from thinking he might be wrong about there being eternal torment in hell in the first place? You get the idea. 1. ￪ This is not the same are the simple numbers argument, the argument that surely the Holy Spirit wouldn’t allow so many Christians throughout time couldn’t be wrong about hell (the way he did with salvation by faith alone vs. works, according to Protestantism…). This numbers argument can be coupled with the authority argument (“surely this many great men throughout time couldn’t be wrong about hell!”), but the authority argument is in many ways its own element. 2. ￪ For those not familiar with the term, a credobaptist is simply one who believes that baptism is only for people who profess faith in Jesus, i.e. it’s not for infants. This may very well describe your belief, even if you didn’t use that term before. Any Baptist denomination believes this by definition. The view is also shared by those in the Churches of Christ, most Pentecostal and charismatic groups, most non-denominational Christians, and others. 3. ￪ A paedobaptist just means someone who believes in baptizing infants. 4. ￪ When you take into account the thornier question of whether or not baptism is essential for salvation, you get even more disagreement between various figures in church history, and therefore, many more examples of great theologians with whom you inevitably disagree. 5. ￪ Charles Spurgeon, “Sermon 66, 67,” [Sermon], London, UK, February 17, 1856, The Complete Works of Charles Spurgeon: Vol. 2, (Delmarva, 2014), Kindle edition, Locations 13191 to 13215. 6. 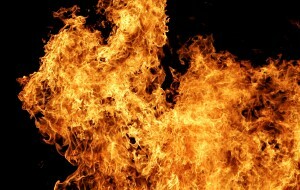 ￪ For more on this, see the following three-part article on how traditionalists in the church have historically looked at the nature of the torment in hell. Part 1: See here. Part 2: See Here. Part 3: See Here. 7. ￪ Augustine of Hippo, On Merit and the Forgiveness of Sins, and the Baptism of Infants: Book I, Chapter 21, trans. Peter Holmes and Robert Ernest Wallis, rev. Benjamin B. Warfield, found in Nicene and Post-Nicene Fathers: First Series, Vol. 5, ed. Philip Schaff (Christian Literature Publishing Co., 1887), 23), reproduced at Google Books, n.d. https://books.google.com/books?id=B30XAAAAIAAJ&printsec=frontcover&source=gbs_ge_summary_r&cad=0#v=onepage&q&f=false (accessed October 4, 2016). 8. ￪ Orthodox Christians would disagree on many things as well, though to a lesser extent. 10. ￪ Thomas Aquinas, The Summa Theologiæ of St. Thomas Aquinas 3:27:1 Second and Revised Edition, trans. Fathers of the English Dominican Province (1920), reproduced at New Advent, n.d. http://www.newadvent.org/summa/4027.htm#article4 (accessed October 4, 2016). 11. ￪ Ibid 3:28:3, http://www.newadvent.org/summa/4028.htm#article3 (accessed October 4, 2016). 12. ￪ The Summa Theologiæ 3:68:2, http://www.newadvent.org/summa/4068.htm#article9 (accessed October 4, 2016). 13. ￪ The baptism of desire is essentially an exception to the rule that a person cannot be saved if they have not been baptized. If a person comes to faith and desires to be baptized, then that person may still still saved even if they are suddenly killed before the baptism can be performed. 14. ￪ The Summa Theologiæ 3:68:9, http://www.newadvent.org/summa/4068.htm#article9 (accessed October 4, 2016). 16. ￪ The Summa Theologiæ 3:69:6, http://www.newadvent.org/summa/5069.htm#article6 (accessed October 4, 2016). 18. ￪ The Summa Theologiæ 3:75:1, http://www.newadvent.org/summa/4075.htm#article4 (accessed October 4, 2016).